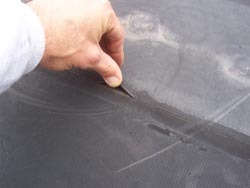 Roofmasters Roofing Company, Inc. offers full service roofing repair and roof maintenance. We service all types of roofing materials on both residential and commercial properties. Most Home Inspectors do not adequately check the roof. Only Licensed Roofing Contractors like Roofmasters Roofing Company, Inc.,are qualified to inspect the most vulnerable part of your home. Have your gutters and downspouts cleaned?